From backsplashes and wainscoting, shower and tub surrounds to flooring and beyond, the wood grain look is in high demand thanks to its classic and contemporary appeal. With close resemblance to hardwood, wood grain materials like ceramic and porcelain, even vinyl, are an affordable, durable, aesthetically pleasing alternative. Using these materials, you’ll achieve the look, feel and detail of real wood without the ongoing maintenance. Thanks to improvements in technology and precision with high-tech manufacturing processes, more and more of the “wood look” tiles and planks we’re seeing these days truly mimic hand scraped wood. Popularity of this style in residential and commercial projects continues to grow with no sign of slowing down. Wood grain planks are a go-to material choice for flooring. Distinct, realistic and classic is what you get when you choose from a variety of vinyl wood grain plank flooring options. This material offers durability without sacrificing style. 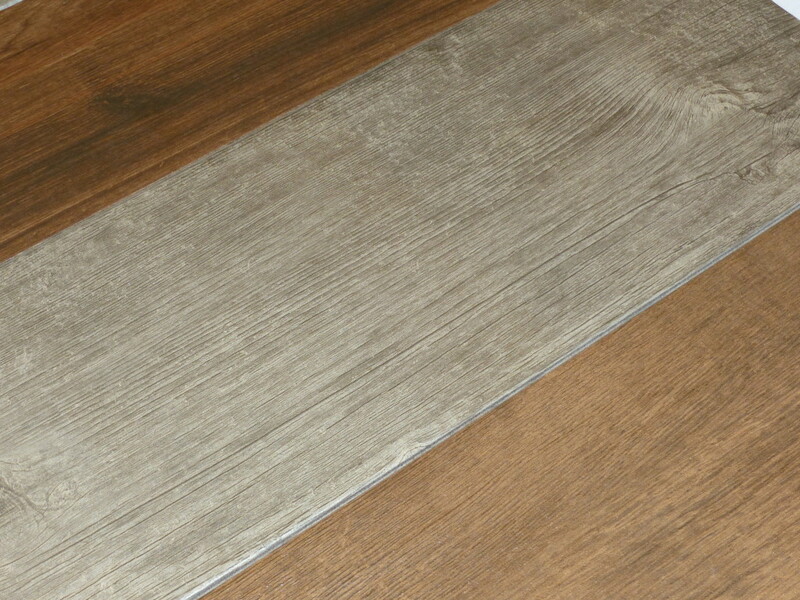 The appearance of wood grain planks resembles solid hardwood, and the texture and feel are exceptional. 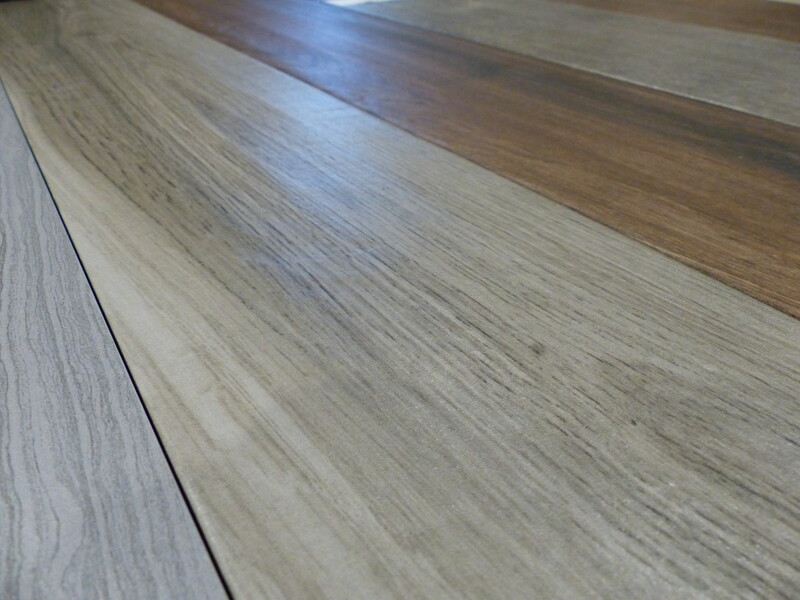 RJ Tilley suggests Tarkett wood grain vinyl planks for flooring. Wood grain tiles are a great option for backsplashes, showers, tubs, wainscoting, as well as flooring. Choose from ceramic or porcelain to get the wood look and texture without compromising on aesthetics or functionality. Tiles come in a variety of sizes, so design possibilities are endless. For both flooring and wall coverings, RJ Tilley suggests ceramic and porcelain tiles from Daltile and Florida Tile. See and feel these materials for yourself—visit our showroom! Porcelain wood tiles are a newer variation of ceramic tile made from denser clay and fired at higher temperatures. This is one of the toughest, most durable and scratch resistant materials for flooring because of its sturdiness and ability to withstand heavy foot traffic. Color is a huge feature of porcelain—if it cracks, color is consistent throughout. Porcelain tile is also popular for wall coverings because unlike real wood, it can be used in kitchens and bathrooms. Price range per square foot for white bodied porcelain is $4 and up, while color-bodied tiles are $6 and up. Ceramic wood tiles are a versatile material, suitable for various applications and environments. When glazed, ceramic tiles are impervious to water and stain penetration, making them a practical choice for not only flooring, but backsplashes and walls in kitchens and bathrooms. This material is durable, low-maintenance, and although it is scratch-resistant, scratches and chips will remove the glaze exposing a clay color underneath. Cost efficiency is one of the primary reasons people choose ceramic tile. Red-bodied ceramic tiles run about $2 per square foot up to $4 for white-bodied variations. Vinyl wood planks are a cost-effective alternative for those who want the look of hardwood flooring at a fraction of the cost. 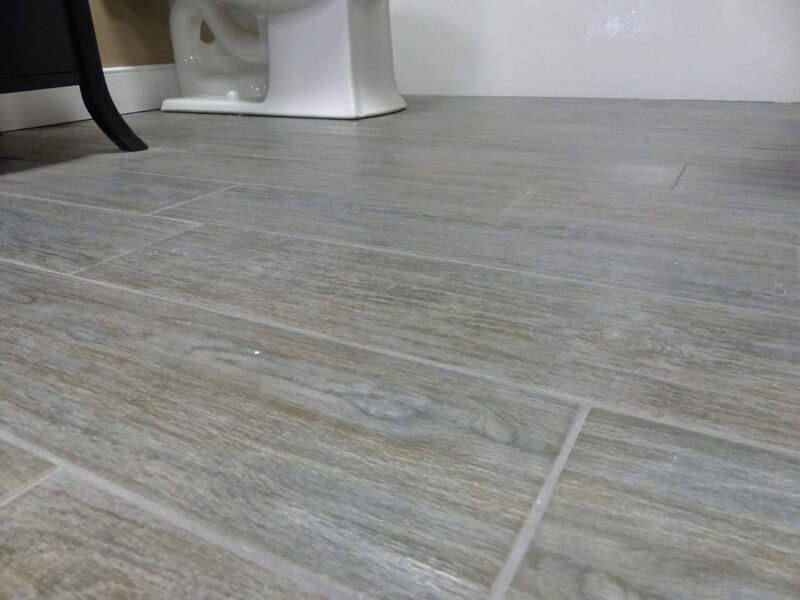 Waterproof, scratch-resistance, durable, and virtually maintenance-free are some of the greatest benefits of this vinyl for flooring applications in both residential and commercial settings. Another advantage of vinyl wood planks—they’re softer and warmer, making them excellent for kitchens and other areas where you spend a good bit of time on your feet. At about $3.50 per square foot, vinyl is the most affordable option for wood look flooring. Vinyl installation is roughly half the price of installing ceramic tile. Ceramic and porcelain tile is heavier than vinyl planks, and most times the trim pieces outweigh the actual tile making installation pricier for tile. For wall tile, larger grout joints are required if you’re using floor tile on the wall, but if you prefer smaller joints you’ll pay more for a rectified tile installation. When choosing between ceramic and porcelain wood grain tiles, consider the detail and color you get per price point—higher priced tiles offer more detail like the rustic, hand scraped look with knots and unique color shade variations. Depending on the size and shape of material, you can get creative with patterns—wood look tile and planks can be laid in various designs like herringbone, offset, random, or a simple straight lay pattern where grout lines all lined up. 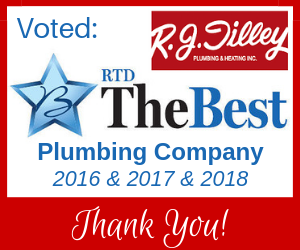 At RJ Tilley, our team of design experts will walk you through the selection of materials, going over features and benefits so you can make the most informed decisions for your home remodeling project. Our showroom is your one-stop shop for the latest options in flooring, fixtures, cabinets, tile, and countertops—and it’s all under one roof. Stop by and visit today, or contact us today to learn more!